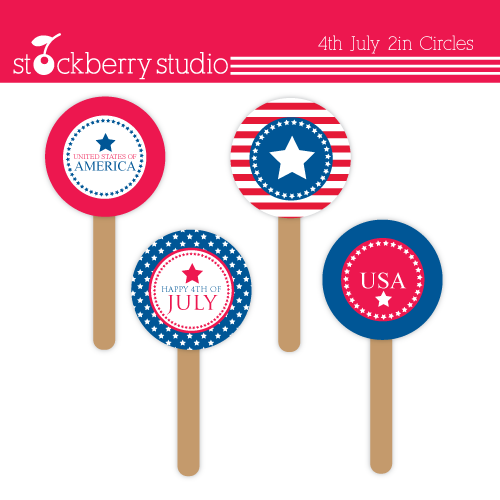 New freebie 4th of July 2in circles. You can use them for cupcake toppers, favor tags or stickers. Click HERE to download the file. 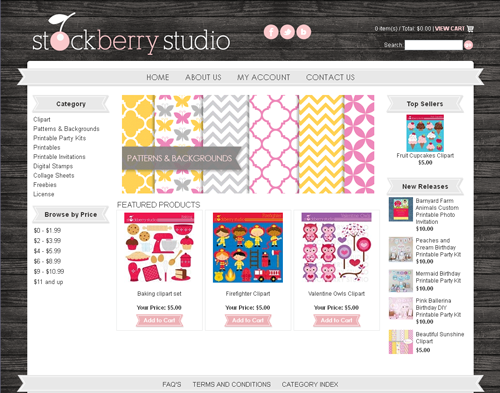 The new Stockberry Studio website is now up and running!!! 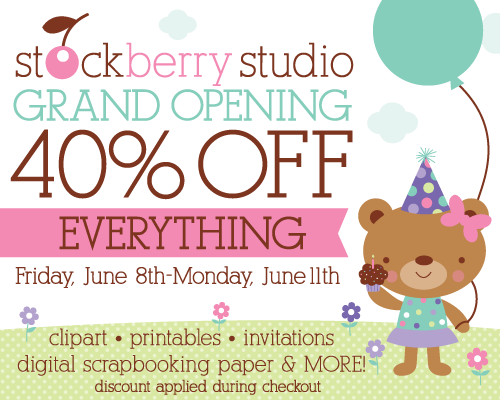 You can now purchase clipart, printables and digital paper and receive the files instant! I will continue to add more products daily. The custom invitations wil still have the same turnaround time 1-2 business days. Check out the new website HERE.